← We Are Having a Heat Wave! It has been a crazy past week here at the Eagle household! 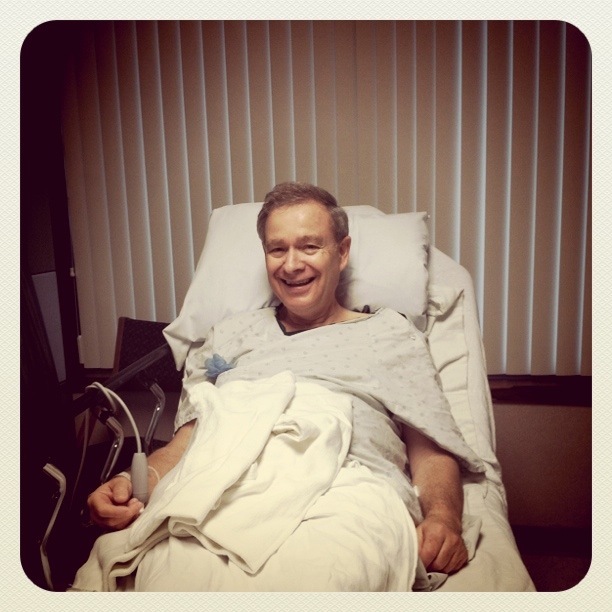 As I posted earlier, my dad had surgery for a double hernia last Friday. Everything went well….but we ended up being at the hospital for 12 hours. His recovery took a little longer than expected. Since we got to the hospital around 5:00 AM, I was exhausted from such a long day. Jenna took care of our mom while dad and I were at the hospital. Life certainly changes around here when you have 2 parents that need to be taken care of. Over the next couple of days I helped take care of my dad and mom. He is back to functioning and moving around. He will be heading back to work tomorrow. One challenge will be that he cannot lift anything over 10 pounds for about 4-6 weeks. This will be a challenge on my nights off when he needs to roll my mom by himself. I might have to help him out a little more. But we are happy that he is recovering and all went well! We plan to keep him operation free for a long time going forward! Today my mom and I went to see “Friends with Benefits” with my Godmother Mary. It was a perfect day for a movie since it was so muggy out. The movie was great on top of it! I know that my mom was happy to be out. It looks like Jenna and Ross will be closing on their house this Friday. We are excited to have them all settled and moved in so we can get Mama Jules inside! She has only seen pictures & can’t wait to get in there. We had to order her a 10 foot portable ramp that we will keep there for her. Congratulations Ross & Jenna! That is about all I can think of for now. We have been getting out for some walks & enjoying everybody that has come over to visit! Thank you for all of the love and support! It is nice to have our house back to normal again! !